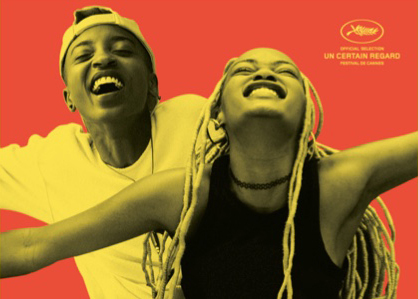 " Le premier film kényan jamais sélectionné à Cannes est une histoire d'amour lesbien "
Pour la réalisatrice du premier long-métrage kényan présenté à Cannes, l’interdiction du film au Kenya assombrit ce grand moment. Kena and Ziki live very different lives in the Highrise Estate in Nairobi. Kena works in her father’s shop and awaits the start of nursing school, while Ziki passes the days hanging out with her friends and making up dance routines. Their paths cross when their fathers run against each other for seats in the County Assembly, and they find themselves drawn to each other. Soon their interest grows to affection and the girls find ways to love each other despite the ever-watching gaze of the neighborhood gossip and the homophobic sentiments of their community. However, once discovered by their family and attacked by the community, Kena and Ziki must choose between what they feel and what others want them to do.